Horace Greasley (1918-2010), nicknamed Jim, was a British soldier in the Second World War who was captured in May 1940 by the German Wehrmacht and later became famous for claiming that he escaped from his camp over 200 times. The reason for the frequency with which Greasley put his life in danger, he admitted with engaging good humor and frankness, was simple: he had embarked on a romance with a local German girl. Rosa Rauchbach was, if anything, running even greater risks than Greasley. 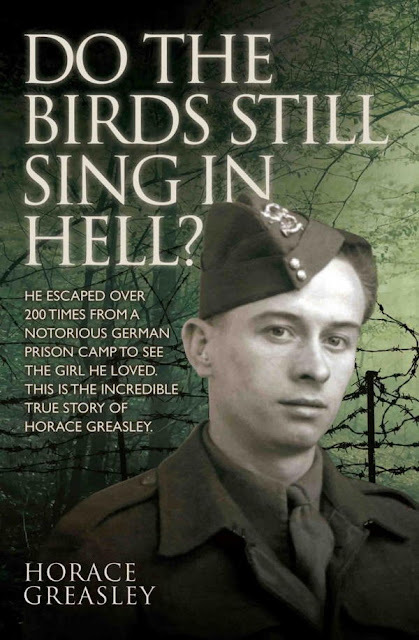 Greasley recounted the almost incredible details of his wartime romance in the book Do The Birds Still Sing In Hell? (2008), which he had been "thinking about and threatening to write" for almost 70 years. But while the book is described as an "autobiographical novel", the story was largely confirmed at his debriefing by MI9 intelligence officers shortly after the war. Horace Joseph Greasley was one of twin boys born on Christmas Day 1918 at Ibstock, Leicestershire. 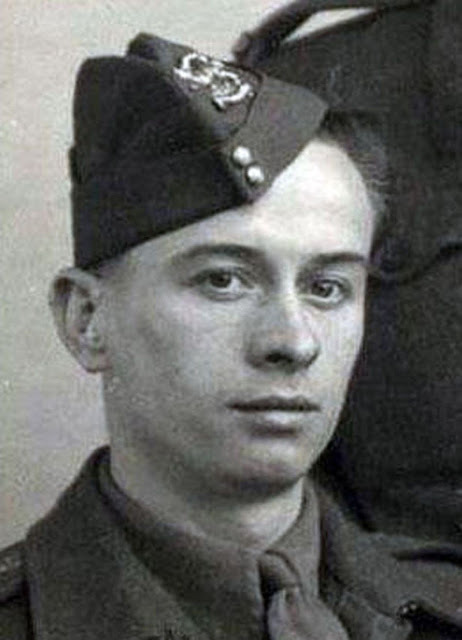 He was 20 and working as a young hairdresser when Hitler invaded Czechoslovakia, and the Military Training Act made all men between the ages of 18 and 40 legally liable for call-up. Horace and his twin brother Harold were conscripted in the first draft. But his war proved a short one. After seven weeks' training with the 2nd/5th Battalion Leicestershire Regiment, he landed in France at the end of the "Phoney War" as one of the British Expeditionary Force; on May 25 1940, during the retreat to Dunkirk, he was taken prisoner at Carvin, south of Lille. There followed a 10-week forced march across France and Belgium to Holland and a three-day train journey to prison camps in Polish Silesia, then annexed as part of Germany. Many died on the way, and Greasley reckoned himself lucky to have survived. In the second PoW camp to which he was assigned, near Lamsdorf, he encountered the 17-year-old daughter of the director of the marble quarry to which the camp was attached. 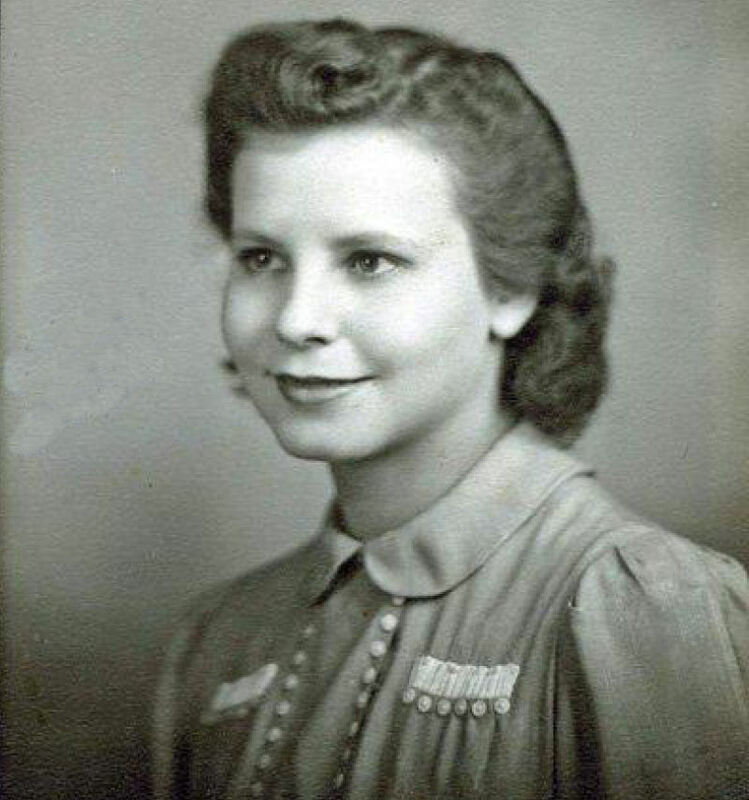 She was working as an interpreter for the Germans, and, emaciated as he was, there was, Greasley said, an undeniable and instant mutual attraction. Within a few weeks Greasley and Rosa were conducting their affair in broad daylight and virtually under the noses of the German guards – snatching meetings for trysts in the camp workshops and wherever else they could find. But at the end of a year, just as he was realizing how much he cared for Rosa, Greasley was transferred to Freiwaldau, an annex of Auschwitz, some 40 miles away. The only way to carry on the love affair was to break out of his camp. From Silesia, bordered by Germany and German-occupied countries, there was little hope of escaping back to Britain. The nearest neutral country was Sweden, 420 miles to the north. Perhaps for this reason the guards were lax, and the Germans seemed to consider that those trying to escape were effectively attempting suicide. Greasley reckoned that short absences could be disguised or go unnoticed. Messages between him and Rosa were exchanged via members of outside work parties, who then handed hers on to Greasley, the camp barber, when they came to have their hair cut. When, with the help of friends, he did make it under the wire for an assignation nearby, he would break back into the camp again under cover of darkness to await his next opportunity. Sometimes, Greasley reckoned, he made the return journey three or more times a week, depending on whether Rosa's duties among various camps brought her to his vicinity. His persistence in their love affair was not the only testimony to his daring. 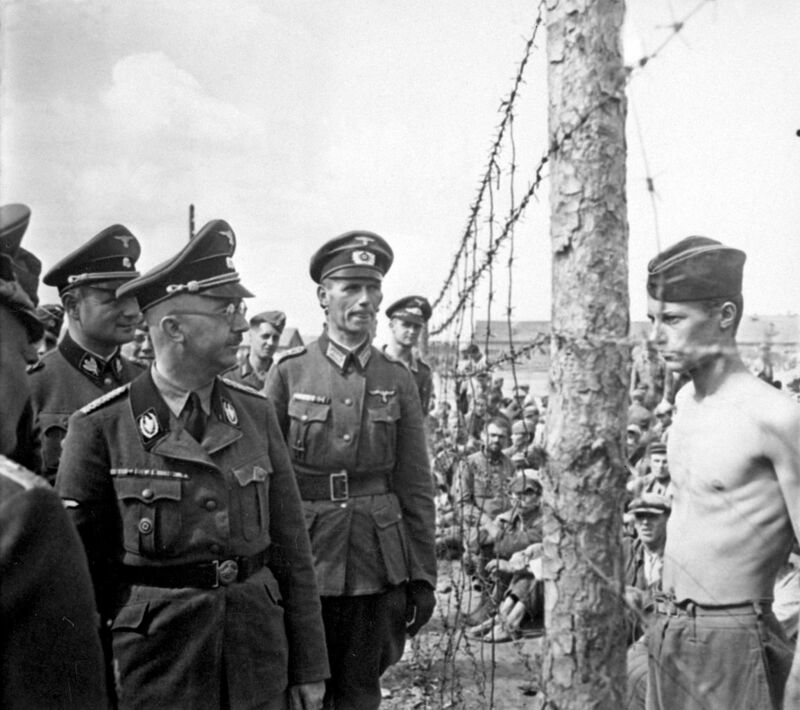 A wartime photograph shows Heinrich Himmler, head of the SS, inspecting a prison camp and a shirtless skinny PoW close to the fence confronting him. The prisoner has been identified as Horace Greasley, who said he did not know who Himmler was at the time, but realized that he was some superior officer. 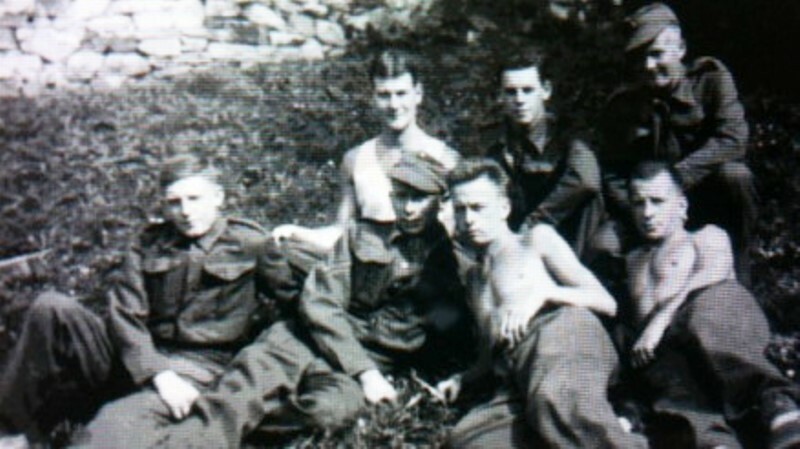 Greasley said that when the photo was taken he was demanding more food for the prisoners, having taken off his shirt to show how thin he was. Rations did not improve as a result. Rosa repaid his attentions, he said, by providing small food parcels and pieces of equipment for him to take back into the camp, eventually including radio parts which enabled 3,000 prisoners to keep up with the news by listening to the BBC. Greasley was held prisoner, working for the Germans in quarries and factories, for five years less one day, and was finally liberated on May 24 1945. He still received letters from Rosa after the war's end, and was able to vouch for her when she applied to work as an interpreter for the Americans. Not long after Greasley got back to Britain, however, he received news that Rosa had died in childbirth, with the infant perishing too. Horace Greasley said he never knew for certain whether or not the child was his. After demobilization he returned to Leicestershire, swearing that he would never take orders from anyone again. He ran a hairdressers', a taxi firm and a haulage company in Coalville, where he met his wife, Brenda, at a fancy dress party in 1970. They married in 1975, retiring to the Costa Blanca in Spain in 1988. Greasley was delighted with the publication of his book and was to have undertaken a return visit to Silesia for a television company this spring, having, he said, been promised the company of "a very attractive 21-year-old female nurse for the entire journey". He died in his sleep before the offer could be made good. 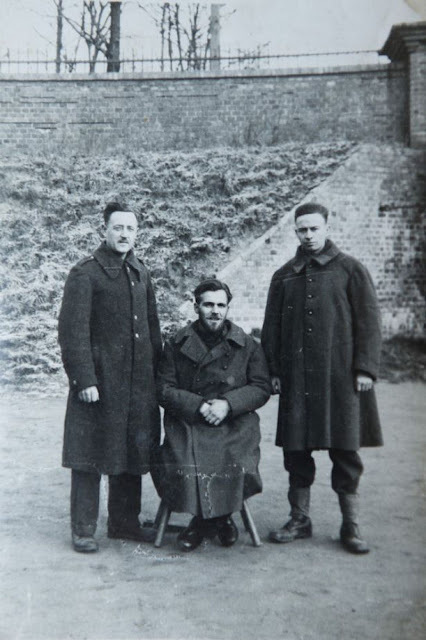 Horace Greasley is survived by his wife and by their son and daughter.